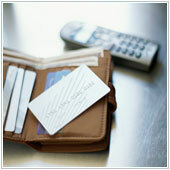 Keys, wallet and phone, the three things most of us check for when we leave the house. It’s second-nature to most of us by now. If current trends are any predictor of the near-future though, we will probably just be checking for our keys and phone; the phone having replaced the wallet. Imagine being able to simply swipe your phone to pay for anything and everything. There’s a new phenomenon that ties your wallet together with your smartphone. This rising trend, commonly known as a digital wallet, is gaining popularity with a number of recently launched systems and being adopted by large companies. Yes, it looks like the days of carrying cash, credit and debit cards around are numbered. A digital wallet is the idea of essentially digitizing your credit and debit cards, and placing them on your smartphone, usually in the form of an app, with credit card numbers and information stored in the cloud. You can then use your phone in place of a card when you go to purchase something from a store, usually by swiping the phone over a special sensor then entering your pin. If you’re a Starbucks fan, you might use their mobile app to load money onto your account and then simply scan your phone to pay for coffee. The digital wallet is a similar idea to this, the only difference being the card scanned is essentially a digital version of your normal bank card, or is linked to your bank account much like a debit card. The technology behind this is largely based on Near Field Communication (NFC). NFC is a radio based technology that allows users to transmit data between devices when they are placed in close proximity. With digital wallets, either your smartphone, or a device that attaches to your phone, has an NFC chip in it that can talk to a related receiver. Another version of the digital wallet utilizes a dongle you attach to your phone, which allows it to function as a credit card or card reader (if you’re a vendor). After you swipe your phone, the vendor’s system takes over and interacts with your bank or credit card provider, usually via the Internet, to charge you the appropriate amount. What are some options available for my business? While still in its infancy, digital wallets do provide some benefits for small to medium businesses. One provider, Square, uses a small device attached to a tablet or smartphone to process credit card payments. This negates the need for a costly payment system, as it can be easily run on common devices. PayPal has launched a similar device targeted at small business owners in Hong Kong, Australia, Canada and the USA. With both of these services you sign up for accounts, get a dongle that you attach to your device which allows you to accept credit cards. Customers also get an app that they can link to credit cards and allows them to make payments through their phone without needing their physical cards while at the shop. The main downside to these forms of payments is that each transaction is charged over 2%, which could make them financially unfeasible for small businesses that do a lot of low-value transactions. A digital wallet that utilizes NFC is Google Wallet. Users can link their cards to the wallet and simply swipe their phone over a Mastercard PayPass, or other compatible terminal. The card is charged, then the customer gets a confirmation and is on their way. Pretty slick. There are a few downsides to this however: only nine Android phones are supported, the service is only available in the US and only two mobile carriers support it. While NFC based digital wallets appear to be a bit far from the mainstream for now, that will likely change as more phone companies and vendor payment providers adopt NFC. Digital wallets that utilize dongles like Square are set to take off, especially in the FMCG and service industries. Industry heavyweights like Starbucks have already announced they will adopt Square in their outlets to process payments. This definitely puts digital wallets on the fast-track to widespread adoption. If you’re interested in learning more, please contact us.